I admit that, although I love to read, I’m not really into poetry. For that reason, I’m still amazed that I remember an elementary school teacher reading “The Road Not Taken” to our class, and developing a deep appreciation for its lyrical rhythm. Robert Frost’s poem is one of the more famous poems ever written and it came to mind as I thought about the future of abortion, assisted suicide, and infanticide in America. Though as for that the passing there Had worn them really about the same, And both that morning equally lay In leaves no step had trodden black. Somewhere ages and ages hence: Two roads diverged in a wood, and I— I took the one less traveled by, And that has made all the difference. 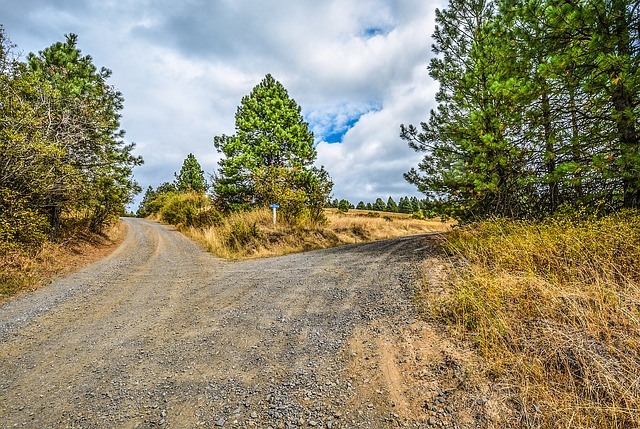 America is soon coming to that fork in the road where we will make the decision to either choose the road that continues down a dark and dreary path or take one that moves in a different direction, one that transforms our nation’s attitude toward vulnerable life. Regarding the former, there is an attempt by some to make sure unborn children are treated as non-humans, deserving of no respect or protection. There are attempts to encourage the elderly and those with disabilities to “take advantage” of physician-assisted suicide. This philosophy degrades the value of human life in all its stages and all its conditions. Life, in or out of the womb, is dismissed as nothing special, nothing worthy of protection. Human life is no different than dogs or trees. Some may even think human life is less valuable than these. But if human life is no longer precious or valued, might we turn into the society depicted in the book, Logan’s Run? In William F. Nolan’s and George Clayton Johnson’s novel, humans live in an enclosed city, controlled by a computer that balances the population with available resources. In order to keep that balance, people are “terminated” when they reach the ripe old age of 30. An episode of “Star Trek: The Next Generation” titled “Half a Life,” shows us an alien planet on which the people, as they turn 60, go through a ritual suicide so as not to become a “burden” to younger generations. Everything is utilitarian. It doesn’t matter what is good or bad, wrong or right. What matters most for the most overrides the value of the individual. Regarding that second road, alas we have experience treating human beings on a sliding scale where their relative value is imputed to them rather than recognized as theirs simply because they are human. Our Declaration of Independence rightly declares that all men are created equal, that we are endowed by our Creator with unalienable rights, with Life being the first right. The repercussions are still felt throughout our culture today. Occasionally, I wonder if we will follow the road leading to civilizations shown in Logan’s Run and Star Trek’s alien nation. In Frost’s poem, both roads were grassy and wanted wear. It’s as if the choice of which road to take is unimportant. With respect to abortion, assisted suicide, and (increasingly) infanticide, that is the evil genius of anti-life forces. One “choice” is as good as another.